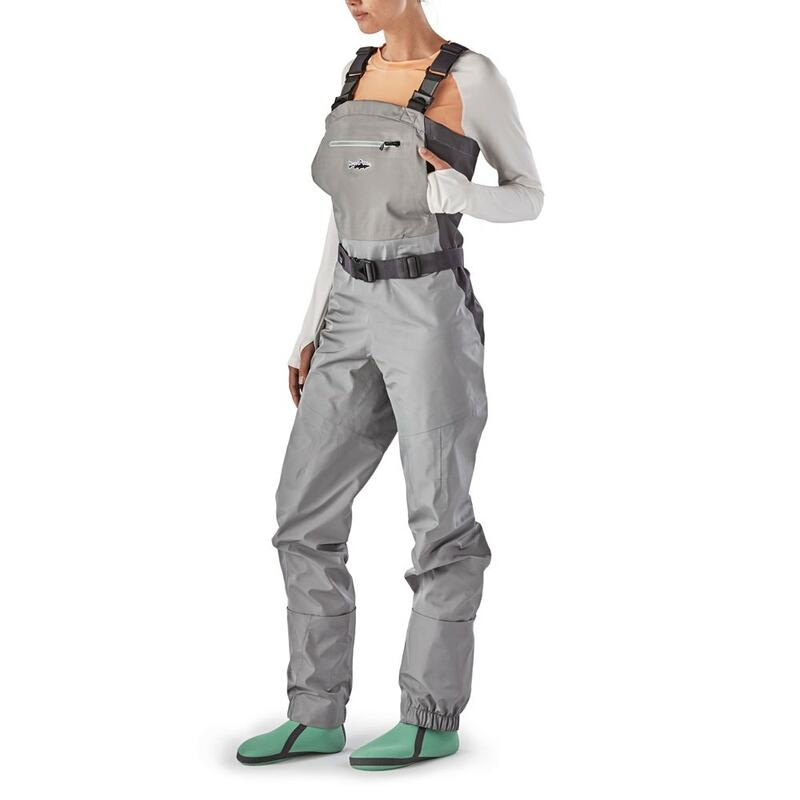 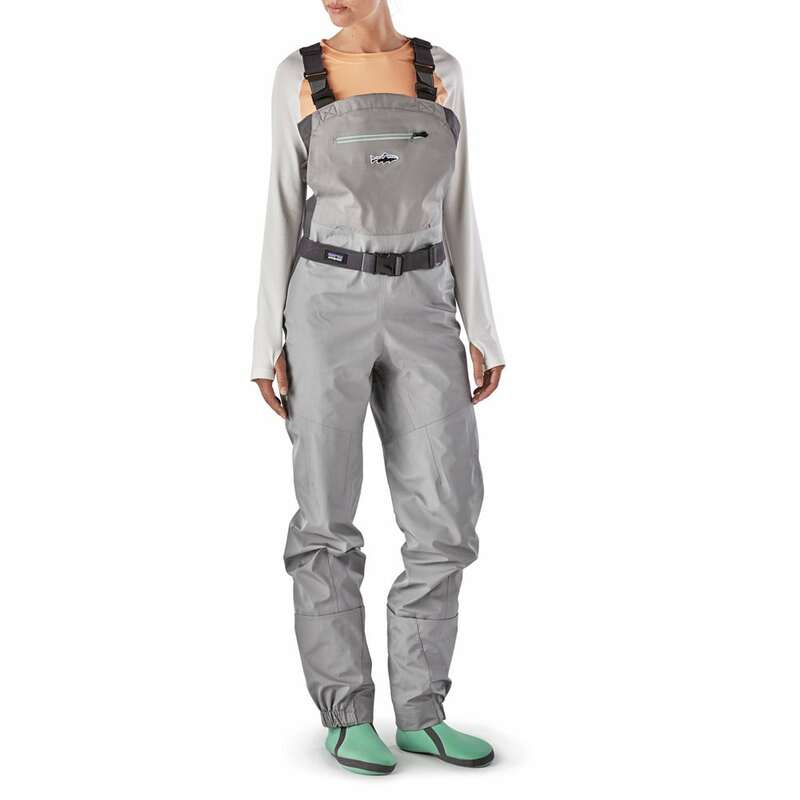 Patagonia's midweight waterproof/breathable women’s fly-fishing waders have been updated with more anatomically fit booties, a poly-grid lining, and flat-panel construction to streamline gravel guards and reduce wear. 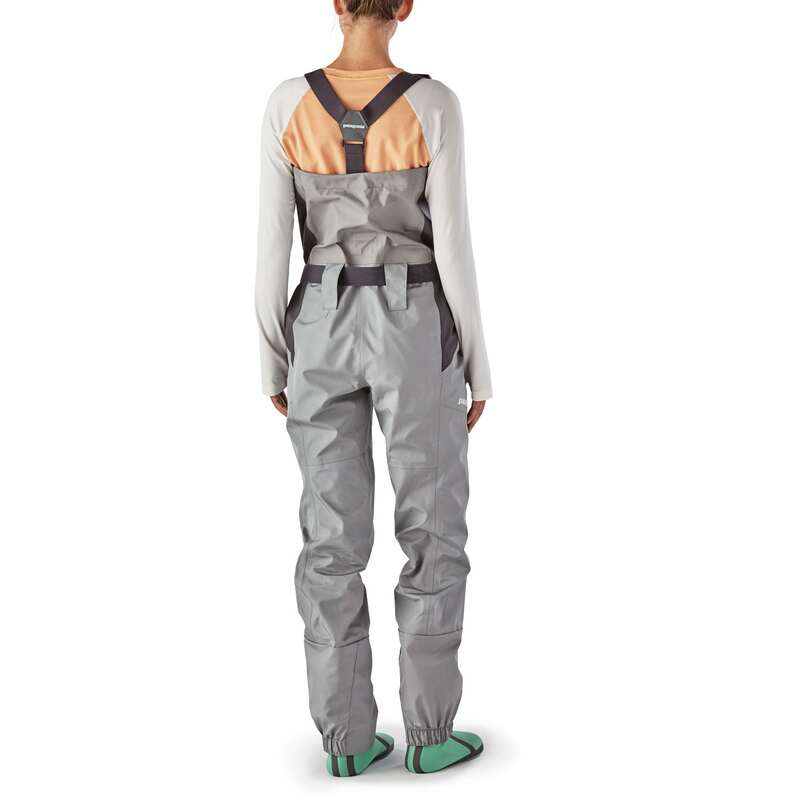 An innovative rear buckle system provides quick drop-seat function. 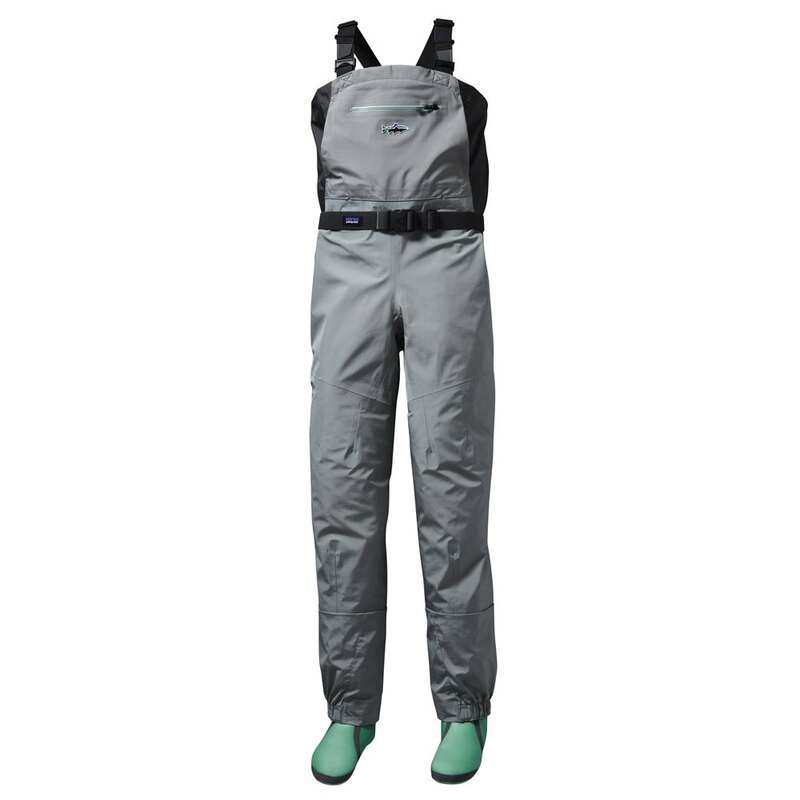 Patagonia Spring River Waders have been updated with more streamlined booties and gravel guards for a new level of comfort, performance and durability.